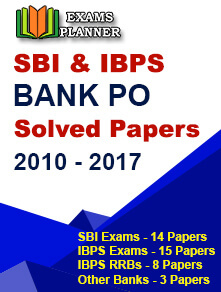 For those souls who are not aware of the latest changes made to the IBPS PO Main syllabus for Quantitative Aptitude (which is now called as Data Interpretation & Analysis) by the Institute of Banking and Personnel Selection, it is hereby maintained that the decision was taken to augment the level of difficulty in the Main exam. The recruiting body i.e. IBPS took this step in the year 2017, which indicates that all the aspirants would now need to be well-acquainted with this before they take the exam. Coming back to the topic, we, at Exams Planner, would like to give you some key, yet unique tips that are definitely going to boost up your confidence and help you understand the complexity of the exam. The Quantitative Aptitude section will have questions from Averages, Percentages, Mixture and allegation, Ratio and proportion, Elements of Algebra and Time and work. The Computer Knowledge section will have questions from Basic Functionalities of MS-Office, Internet terms and services, Basics of Hardware and software, Networking and communication, Basics of Hacking, Security Tools and Viruses, Windows operating system basics, etc. The English Language section will have questions from the Vocabulary, Grammar and Reading Comprehension. The Reasoning Aptitude section will have questions from Verbal Reasoning and Non-verbal Reasoning. The General Awareness section will have questions from Banking Terms, Overview of Indian Financial System, Current affairs related to national and international issues, History of Indian banking system, etc. Unless you are fully-equipped with the exam scheme, it will be tough to prepare better. IBPS designs the pattern in such a way that only the best can qualify. When it is said the BEST, it only points out the brilliant students with impeccable skills and knowledge of computers, reasoning, English and quantitative ability. These students must have command over the current affairs, GK, etc. The candidates are going to get questions in two languages – English and Hindi. The English Language test will have only questions in English. Moreover, there would be negative marking for every wrong answer. 1/4th marks will be deduced in case the answer is incorrect. All the questions will be objective types. Let’s take a glance at the exam pattern of IBPS prelims and mains. There is no way an IBPS PO aspirant can crack the exam without having the concepts clear. This includes enhancing the speed as well as accuracy. Ensure that you can attempt all the 200 questions and give only correct answers. Be as quick as you can – otherwise, chances are that you might fall short and your dreams will just be dreams, not reality. All the five sections – yes, all the 5 sections need to be well-practised repeatedly. Only practice helps you become perfect. Hone your skills by taking the mock tests. Along with practice, have a crystal-clear study plan that would stress more on daily revision. First, you need to complete the syllabus and then revise them every day. Revision helps you store all the things in your mind (that you have studied all day). Maybe you have not come across something like this before (talking about the #5 tips). You must understand that this section comprises two questions carrying 25 marks each. The duration would be 30 minutes. You will mainly be asked to write a letter and essay. To improve your skill for this special test, you need to read an English newspaper regularly. Take note of words that are new to you. Understand the usages of various words, adjectives, synonyms, etc. Think of practicing model papers. This comes in handy tremendously. 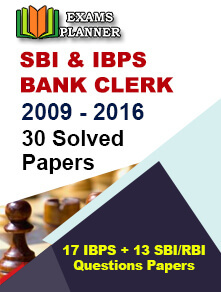 Now, we hope these tips would come in handy for you in preparing IBPS PO exam.